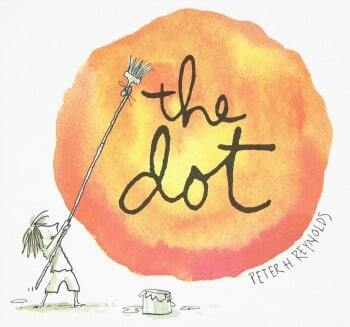 In case you are looking for some dot art ideas to do with your kids, here are lots of them. style and want to try something similar. Or maybe you just want to make some fun art and try something new. 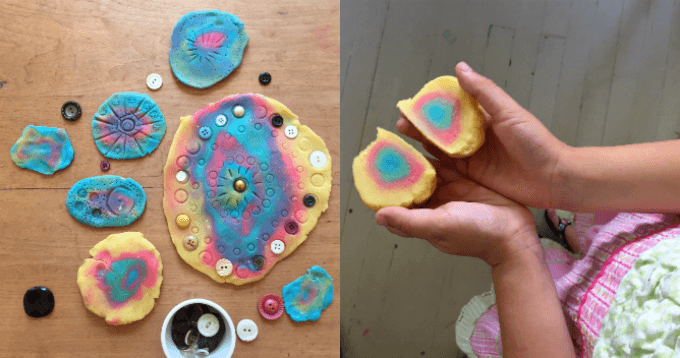 I put this round-up post together because I got excited about all the different dot art ideas I was thinking about after doing Q-tip pointillism with my kids the other day. I thought of the various ways we’ve made dot art in the past (with printing, painting, drawing, and even playdough) and all the fun dot art ideas I’ve seen around the web (Aboriginal dot painting, Kandinsky circles, and Lichtenstein-inspired pop art, among others). Dots are an effective and interesting art component and there are many ways to make them. So… If you want to dive into some dot art, try one of these ideas! And if you think of other fun ones, please leave a comment below the post! That was a lot of dot art ideas! Are you ready to give one a try?